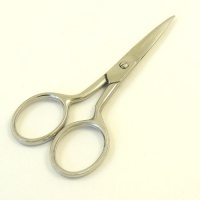 These thread snips have sharp metal blades housed in a plastic handle. 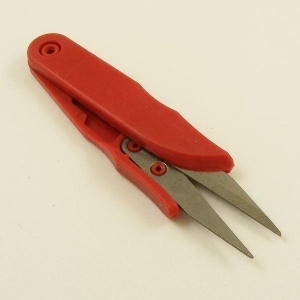 The handle of the tool has a sprung hinge, so the snips can be used easily in one hand. 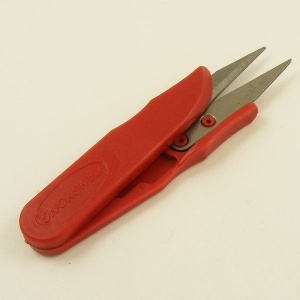 Ideal for all kinds of sewing project, from embroidery to leather craft.